Set amidst the glittering azure waters of the Caribbean Sea and Laguna Nichupte, lies this boutique style, all-inclusive Cancun, Mexico resort. Sandos Cancun has been acknowledged as one of the best resorts in Cancun, for the luxury, comfort, and quality of the Sandos Cancun is simply left unmatched. All-inclusive resorts in Cancun can be hard to come by, but with Sandos you can find a high-end vacation at an affordable price without having to forfeit quality. As opposed to other Cancun all-inclusive resorts, the Sandos Cancun offers guests a more adult-oriented resort, with much time dedicated to relaxation, style and grace. Conveniently located within 20 minutes of the airport, a short walk from the beach, and overlooking the Caribbean sea, lies this perfect beach getaway. Sandos Resort Cancun is possibly one of the better all-inclusive resorts in Cancun, because it offers guests an enhanced vacation excursion that gives them ample time of relaxation with an endless amount of style. At Sandos Resort in Cancun, you can relax in one of the three infinity pools, look out on the vast Caribbean Sea and enjoy the vacation of a lifetime. A gorgeous white-sand, pristine beach lies right before your line of vision as you sip a refreshing, handcrafted cocktail from the hotel bar. As opposed to other resorts, who rely on servicing copious amounts of bottom shelf liquor, the Sandos only uses the finest of liquors, thus accentuating the idea of more “royal” style vacation. Cancun all-inclusive resorts were created to allow couples and families a getaway from it all and just relax on the beach in the comfort of a high class resort. They offer several different styles of Cancun all inclusive vacation packages, so you’ll have different choices to pick from. Because of the way the resort has been constructed on a relaxing beachfront, guests leave Sandos Resorts in a much more peaceful state of mind. Sandos is positioned in Cancun’s Hotel Zone, where you’ll be able to take advantage of any of the town’s hotspots (shopping, etc.) 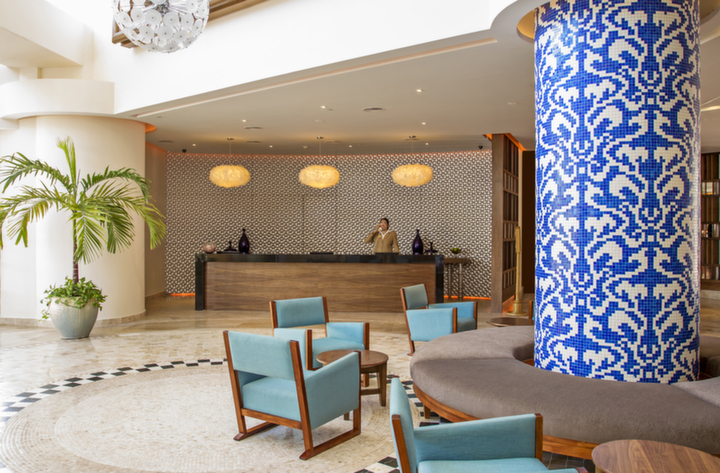 Many of the guests of Sandos find themselves never leaving the resort during their entire stay, and that’s why Sandos has become one of the top resorts in all of Cancun. 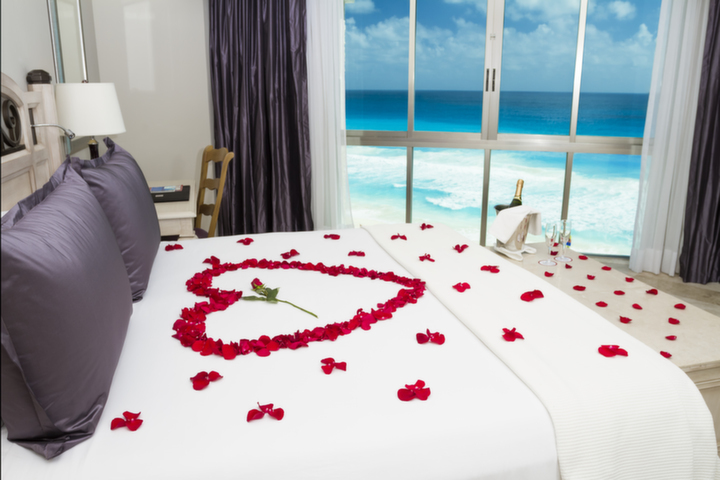 People would prefer to be pampered to every possible amenity while they vacation in Cancun. From the pristine white sand beaches, 24-hour room service, a fitness room (with modern equipment), an incredible ocean view, and a strikingly elegant lobby, it comes to no surprise that couples, families, and singles escape to this piece of Cancun. Try the Total Gourmet Experience, which will awaken your senses and delight your palate, as it offers lovely international flavors and drinks that will tingle your taste buds. Imagine a culinary trip around the world, because chefs and bartenders have created some seriously intriguing cocktails at Sandos Cancun Resort in Mexico. Zango creates intricate morning flavors at their breakfast buffet with a variety of different hot or cold food options. Or, test out one of the four upscale restaurant options, which offer Teppanyaki (Japanese), international, and Caribbean cuisines. The entire resort is accented with a traditional, yet elegant Mexican styles blending with Caribbean luxury. Apart from the three infinity pools, Sandos Cancun offers spectacular private access to the beach, allowing you to have quiet beach dwelling time. Resort staff will be happy to deliver any type of top shelf liquor or drinks to the comfort of your beach lounge chair, which can turn a mediocre vacation into an all-inclusive luxury pampered trip to Mexico. You want to return back home with a nice golden sun tan, plenty of stories, and the knowledge that you were treated exactly how you expected. 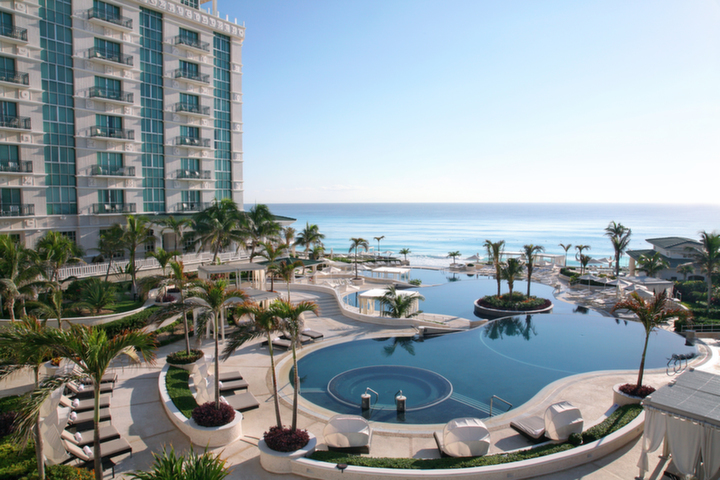 Sandos Cancun resort is renowned as one of the best resorts in Cancun and it can truly back up that statement. You get it all when you choose Sandos for your next trip to Cancun, Mexico. The infinity pools, perfect beach location, beach volleyball courts, unbelievable views, relaxed lobby bar, incredible restaurants, and everything in between, Sandos can give you the vacation you’ve always dreamed of. You deserve to have the vacation of a lifetime and Sandos Cancun is the best place to find that perfect getaway you’ve been searching for. As far as Cancun all-inclusive resorts are concerned, Sandos is quite possibly one of the best places you can go for a vacation. The resort uses elegant designs, high scale quality foods, modern style, and rewarding views to ultimately form of place like no other. If you were looking for the perfect resort for your next all-inclusive vacation to Mexico, then you’ve found it. Sandos won’t disappoint you during your next vacation, so start searching for Cancun all inclusive vacation packages today.